Enjoy a peaceful boat trip which doesn’t require a sailing licence. 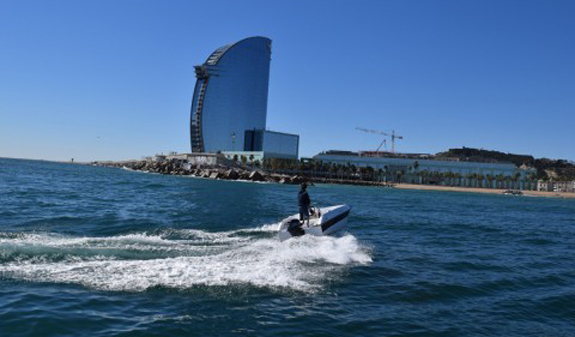 You’ll spend a day out at sea in the sunshine in front of Barcelona’s beaches. 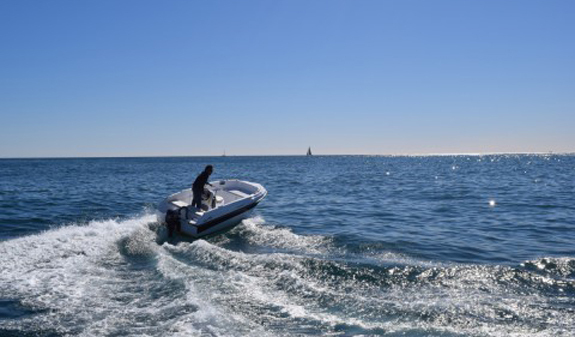 If sailing is on your bucket list, we invite you to take the helm!.Enjoy the Barcelona sea on a fully equipped boat without needing a sailing licence. 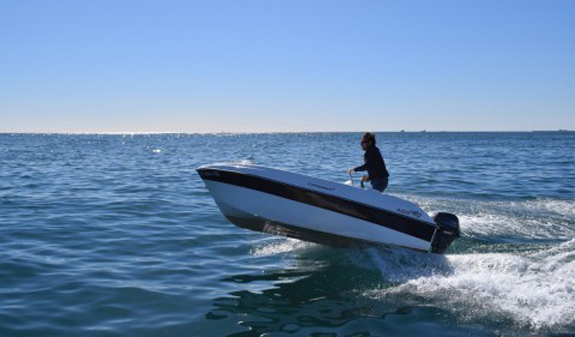 A Compass 400GT boat with a 15 HPYamaha outboard motor awaits you in the Olympic Marina to take you on an adventure!. 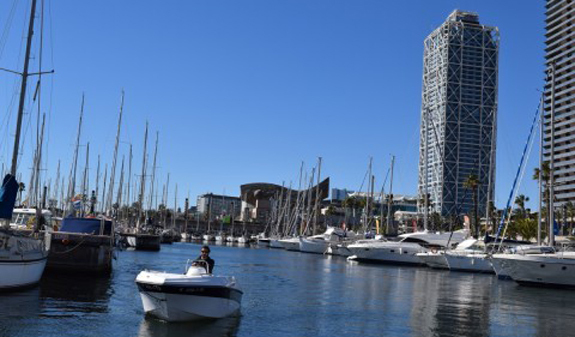 Barcelona’s Olympic Marina is within easy access of the city’s major sights and has an excellent choice of restaurants, bars and leisure attractions. Your boat will be waiting for you in the marina ready to weigh anchor and set off to enjoy the city’s amazing skyline from the sea. We invite you spend a fun-filled morning or afternoon on the sea with every comfort and everything you’ll need to enjoy an unforgettable experience.And if you prefer, an expert skipper can travel with you so all you’ll have to worry about is putting on your sunscreen and relaxing. 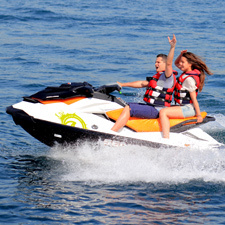 Boat hire for 1, 2 or 4 hours (maximum 5 persons). Cleaning at the end of the trip. 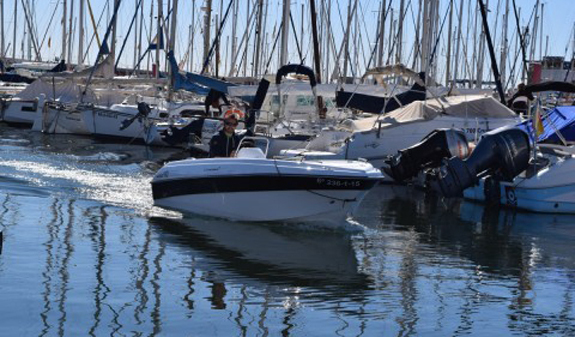 Harbour, security and mooring services. Times: All year,from 10am to 8pm. Languages: Englis, Catalan and Spanish. Length: 1, 2 or 4 hours. Meeting point: Moll de Mestral 2841. Port Olímpic. Metro L4 stop Ciutadella-Vila Olímpica. Bus 36, 45, 59, 71, 92, V21 and H16. Tram T4: stop Ciutadella-Vila Olímpica. We recommend you wear comfortable clothing appropriate for the season, rubber-soled footwear. When renting you must leave a 100 € cash or credit card deposit.